Posted on July 28, 2015 by M.E. 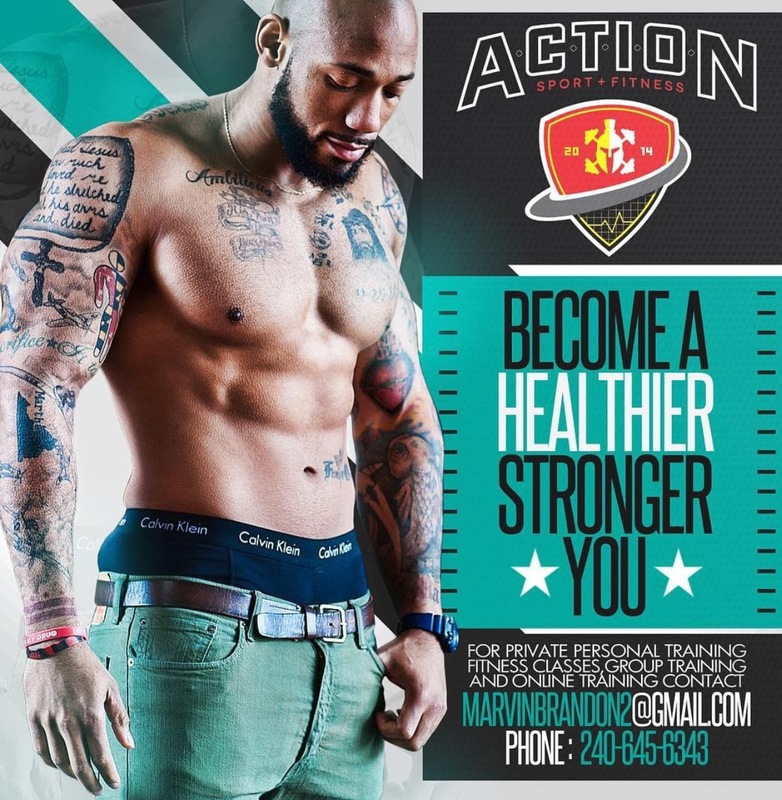 Meet Marvin “MarvintheBrand” Brandon, Certified Personal Trainer, Group Training Instructor, Fitness Bootcamp Instructor, NPC Competitor, and Co-Owner of Action Sports & Fitness. Marvin was born and raised in the Washington, DC area. He attended Hampton University and graduated from the University of New Haven with a concentration in Sports Management. He is also making a name for himself by becoming a sought after personal trainer and has been making substantial gains as a NPC competitor, where he has appeared four times thus far. His dedication and focus is completely motivating, which is why he is destined for continued success. He also empowers others for similar success in creating their own goals in establishing a set routine and sticking with it. He encourages results and that is the most important aspect in physical fitness. However, you can only see results when you work hard and put your mind to whatever it is your trying to achieve. If your interested in making a change in your live by eating healthier and committing to a solid fitness program, then please contact Marvin Brandon today!! You will not be disappointed. Health Tip: 20 mins of cardio upon waking up every morning helps promote burning fat stored in the body. This entry was posted in Fitness, Health, Lifestyle. Bookmark the permalink.